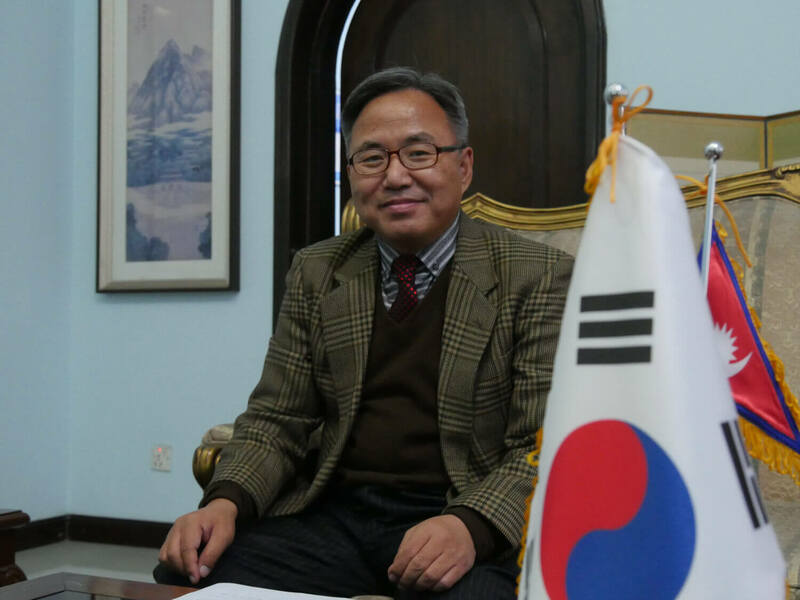 Korean Ambassador to Nepal Park Young-sik, spoke to Sangmin Kim of Nepali Times about tourism, Nepali workers, development assistance, investment, trade and tourism. Nepali Times: What is the perspective of the current Moon Jae-In government on Nepal? Park Young-sik: President Moon has visited Nepal twice on a personal trekking trips. During his last trek to Langtang in 2016, he volunteered in the rehabilitation efforts of a school damaged by the earthquake in Nuwakot. Many Koreans feel the need for taking the current partnership with Nepal to a higher level. I hope to try to make this happen by exchanging mutual visits of high-level leaders. This is the right time since the Korean government is trying to strengthen relations with South Asian and ASEAN countries within our ‘New Southern Policy’. What has been the support to Nepal from Korea post-earthquake? Before taking up my official duties as Ambassador, I met many Koreans to discuss what could be done to help Nepal after the 2015 earthquake. The focus is on rehabilitation, the Korean government is building a hospital and ten health posts in Nuwakot through the Korean International Cooperation Agency (KOICA). 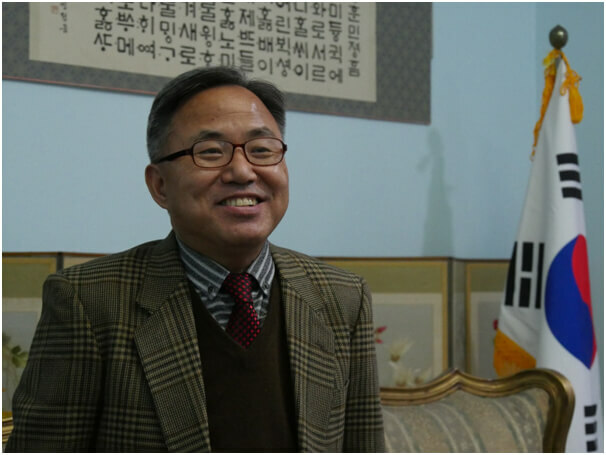 The Korean private sector is also involved in rehabilitation. What is KOICA’s main area of focus? The Korean government has assisted in building two vocational training centers in Nepal: Korea-Nepal Institute of Technology (KNIT) in Butwal and Kathmandu University Technical Training Center (KUTTC). Nepal cannot rely only on remittances by sending workers abroad. Nepali workers should remain in Nepal to lift the domestic economy, while technology and experience of returnee workers should be fully utilised. 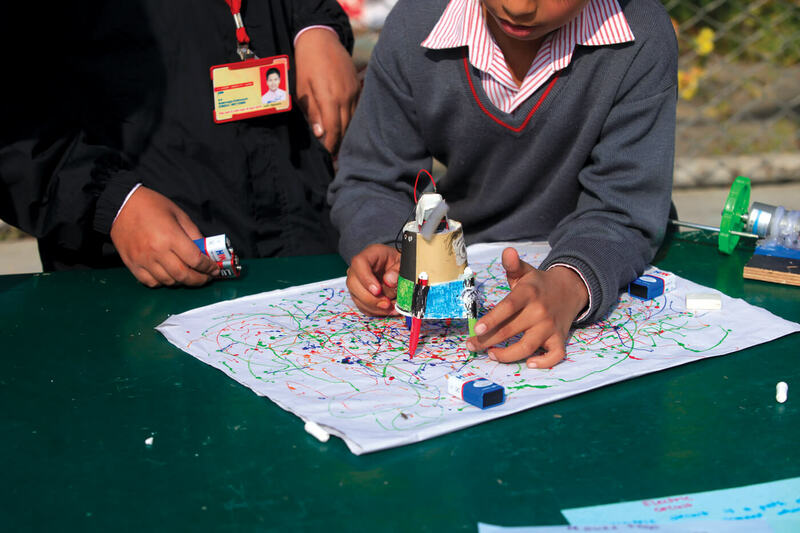 We welcome two policy initiatives introduced by the Nepali government: Establishing technical schools in all seven provinces and 753 local units and establishing start-up business ventures by returnee workers by providing a maximum of $10.000 loan at less than 6% interest rate. Korea University of Technology and Education is conducting a project to enhance the quality of CTEVT (Council for Technical Education and Vocational Training) through capacity building of instructors which will contribute to the development of Nepal’s technical schools under the guidance of CTEVT. What do you see as the main constraints and challenges of operating the EPS (Employment Permit System)? I had an opportunity to meet members of ANKUR, the organisation of Nepali workers who have returned from Korea who wish to make use of the skills and technology which they learned for the development of Nepal. The Korean government will try to find suitable ways to implement industrial technology transfer. EPS has been running successfully, but we still need to see how we can improve this system. For example, some Nepali migrant workers are not able to adjust to life in Korea, and some have committed suicide. Both governments are trying to provide psychological care at worker’s orientation before leaving for Korea and after arriving in Korea. Another constraint is the shortage of air tickets which is causing problems for some Nepali workers to reach their destination in time in Korea. The Nepal government wants to encourage Korean tourists, what can be done to promote tourism? 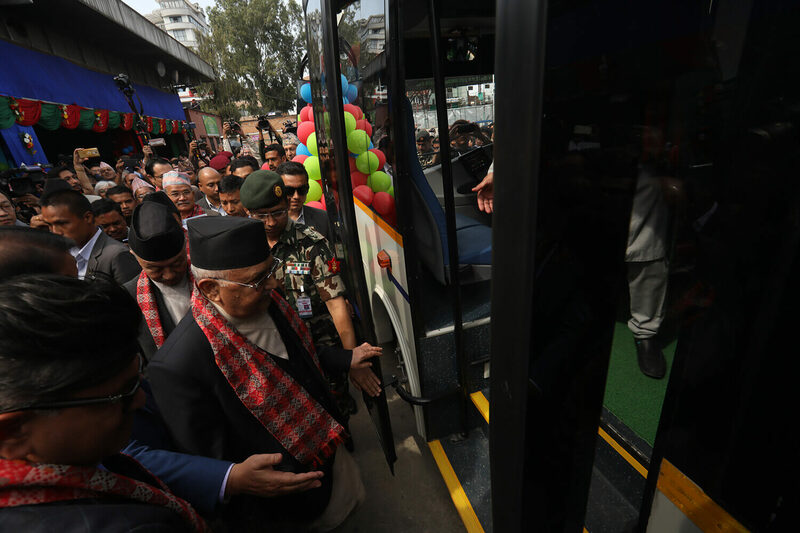 More than 34,000 Korean visit Nepal annually in order to go trekking or to visit Lumbini. There is great potential for attracting more Korean tourists if Korean travel agents are allowed to provide tailor-made tour programs for Korean tourists. More promotion is needed if the Nepal government wants to promote Buddhist pilgrimage tourism in Korea. Do you have plans to build on cultural diplomacy using the popularity of Korean pop in Nepal? The Embassy of the Republic of Korea in Kathmandu has been organising various cultural events every year such as Korean traditional food exhibition, Korean Speech Contest, K-pop song, and dance performances and Korean cooking classes. We also find that about 100,000 Nepalese are currently enjoying the game of taekwondo. The Embassy will organise ‘Korean Ambassador Cup’ taekwondo Champion later this year and hold it every two years. Nepal has a huge potential to obtain medals in taekwondo in Olympics, South Asian Games, and SAARC games. Nepal is trying to attract more foreign investment through the Investment Summit. What can Nepal do to make it happen? Nepal has great potential in tourism, agribusiness, education, health, and information technology. However, Nepal’s domestic economy does not have enough resources for large infrastructure projects. To attain middle-income country status by 2030, Nepal would have to attract Foreign Direct Investment. The Investment summit will be successful only if the Nepal government can create a business-friendly environment. 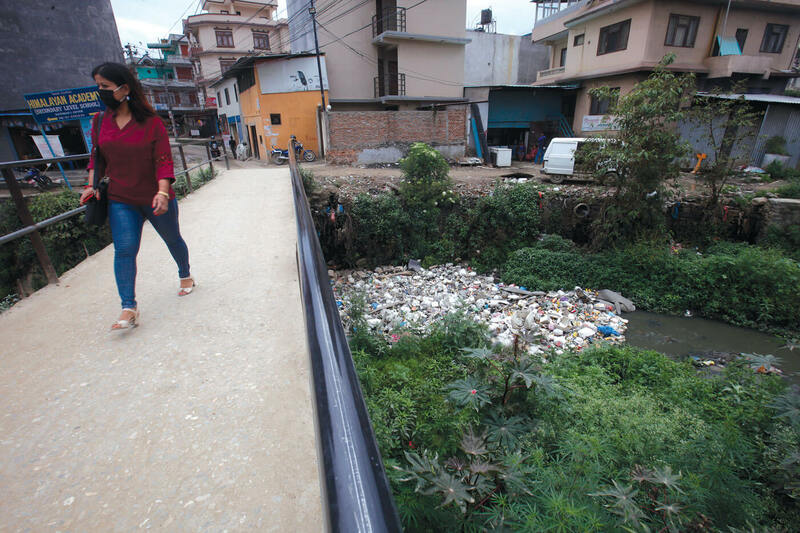 One of the areas that need to be addressed by the Nepali Government’s hedge fund. Many people are talking of great potential of Nepali hydropower sector, but foreign capital is not coming yet. The Pakistan government is taking 100% of currency risk, while the Nepali government is demanding excessive burden on foreign developers. I hope that the hedge fund issue will be soon settled in a mutually beneficial way. How closely were you involved in search and rescue after the tragic avalanche that struck the Korean expedition on Mt Gurja last October? Just before the Dasain Festival, the Korean embassy was informed about the tragedy. Since then, we were heavily engaged in the search and rescue of the Korean expedition over three days and finally were able to dispatch bodies of five Korean mountaineers to Korea. The Korean government greatly appreciates the effort of Nepal Police, Bir Hospital, helicopter rescue companies and mountain tour agents for their active participation. Our Embassy and the Korea Tours and Trekking Operators Association of Nepal (KTTOTAN) signed MOU on cooperation. This MOU is useful, especially for providing security for Korean mountaineers and trekkers.